Home Anatomy How Long Do Polar Bears Hibernate? 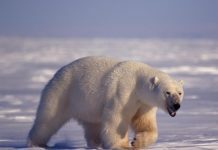 How Long Do Polar Bears Hibernate? Polar bears do not hibernate. They are not true hibernators. They just go into a temporary torpor or dormancy state where their metabolic rate slows down but this is not exactly hibernation. 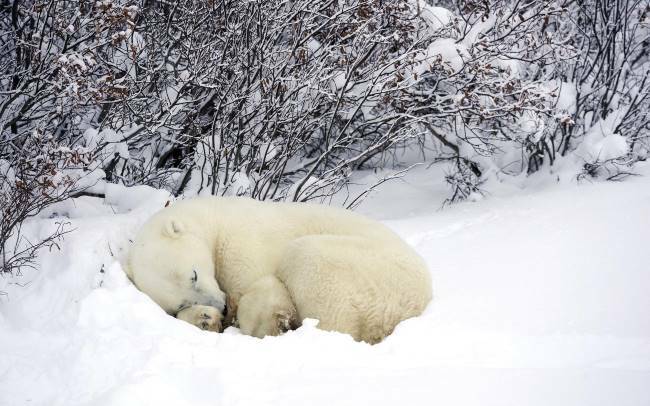 Hibernation is a sort of activity (or maybe inactivity) which enables the bear to save its energy because the ambient temperatures are extremely low that the average body temperature, basal metabolic rate and foraging goes out of the question. All these normal activities turn out to be either impossible or energetically too costly. Let’s see how long do polar bears hibernate or remain inactive in a 365-day period. Polar bears remain inactive for as long as 4 – 5 months in a year. But the polar bear’s hibernation does not mean a continuous sleep. Although their heart rate drops down from 46 to 27 beats per minute they are probably not as dead as rodents. Lately scientists have observed that summers in the Arctic appear to be longer than winters probably due to the global warming. This indeed affects the overall behavior of the hibernating animals. 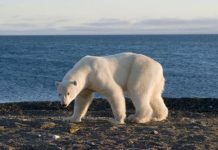 Long summers mean less time for polar bears to store considerable energy reserves or fats to go by so-called hibernating months. Polar bears are most likely to face food shortage in the years to come. The hibernating animals like bats and rodents enter into a deep sleep so much so that it’s not possible for them to react quickly if the predator is nearby. 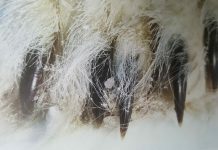 In case of polar bear’s dormancy (not hibernation) they do not only respond actively even during inactivity they do move around to look for any possible threats outside the den. 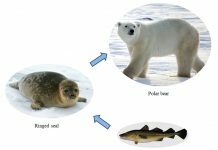 Polar bears, like emperor penguin or arctic fox, can afford to forage in extreme Arctic chilling for they are not only perfectly insulated—they have stored reasonable energy reserves and they do compete quite successfully for a continuing food source.